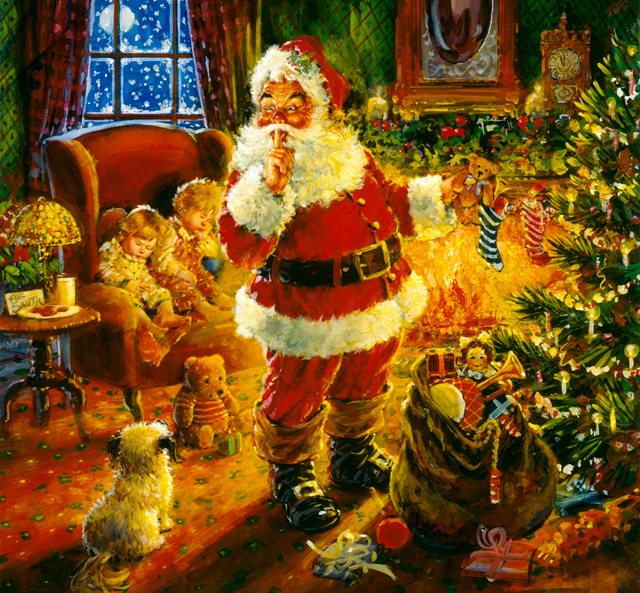 The tradition of Santa Claus is passed down generation after generation, and kids of all ages like to celebrate and keep the spirit of Kris Kringle alive. In today’s tech-savvy world, it is a little more challenging than it used to be, but with a little bit of internet wizardry, you can add to the sense of wonder at the heart of the holiday season. Here are a few awe-inspiring websites and apps to help you keep Santa’s story going strong for another year. 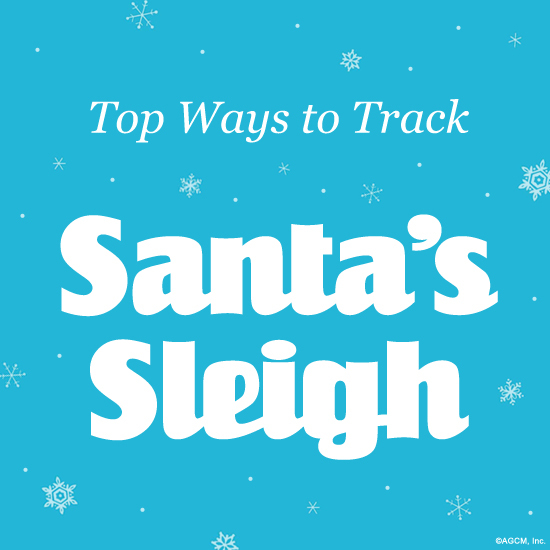 Your child can track Santa’s progress across the globe on Christmas Eve with the help of a few very qualified experts! Due to a happy accident, the North American Aerospace Defense Command (NORAD) introduced the tradition of tracking Santa’s journey back in 1955. A misprinted Sears ad encouraged children to call a “direct line to Santa,” but the incorrect phone number actually redirected to the Colorado Springs Continental Air Defense Command. The good-natured agency rose to the occasion, and all staff were briefed to give Santa’s “current location” to any eager young callers. Fast forward almost 60 years and the experience is considerably more captivating. Starting December 1, the NORAD Tracks Santa website provides descriptions of the technology used to follow Santa. As he flies on Christmas Eve, it will be updated hourly with “Santa Cam” videos of his sleigh flying over famous landmarks around the world. The very serious and official nature of NORAD lends credibility to the whole affair for a fun, educational, and very convincing experience. After a few years of partnering with NORAD, Google Maps branched out on their own in 2012. The Google Santa Tracker is very interactive, with mini games and animations in the style of Google Doodles. The link will be available on the Google home page, but you can also follow along on free apps for Apple and Android. It’s a good companion to NORAD’s offering and a fun way to keep kids engaged in those last long hours before the big day! A video call from Santa himself will absolutely amaze your little ones. The Video Calls From Santa app is designed to look like a real Facetime call with the big man himself. You can leave Santa a voicemail, or call a number for “Nice” or “Naughty” — which may come in handy as a pre-Christmas behavior modification tool! This one will probably work best for the under-five set, but knowing Santa’s number is a surefire way to impress the whole family. 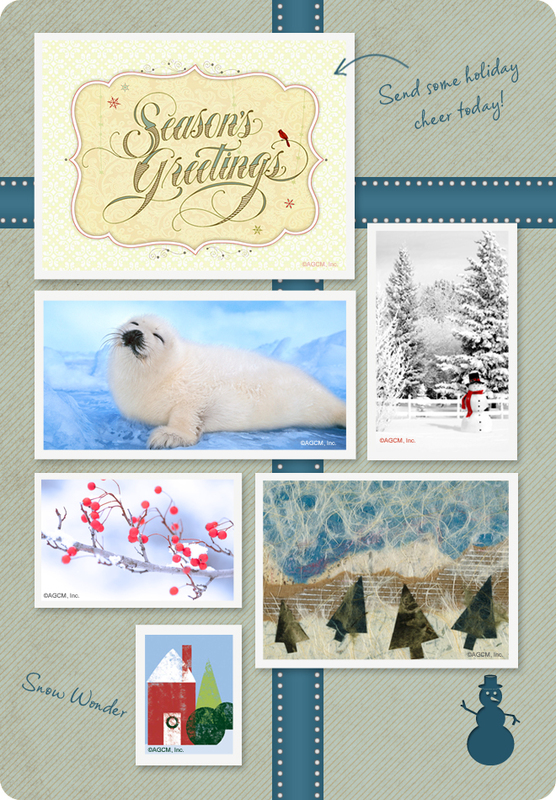 An ecard from American Greetings lets you send a completely personalized message to kids from Santa. Simply type what you’d like the animated Santa on the card to say in the voice you choose, or you can record a message by phone. There are two different Santa’s to choose from, Santa’s List and Dear Santa. It’s available when you sign up for a free trial of American Greetings’ ecards and is sure to inspire a lot of smiles. 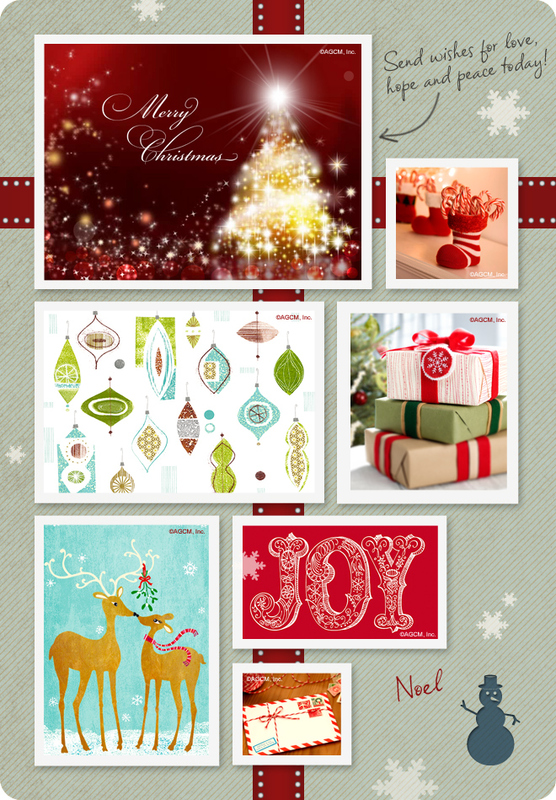 In addition to the Santa talking ecards, AmericanGreetings.com offers a wide variety of Christmas ecards. 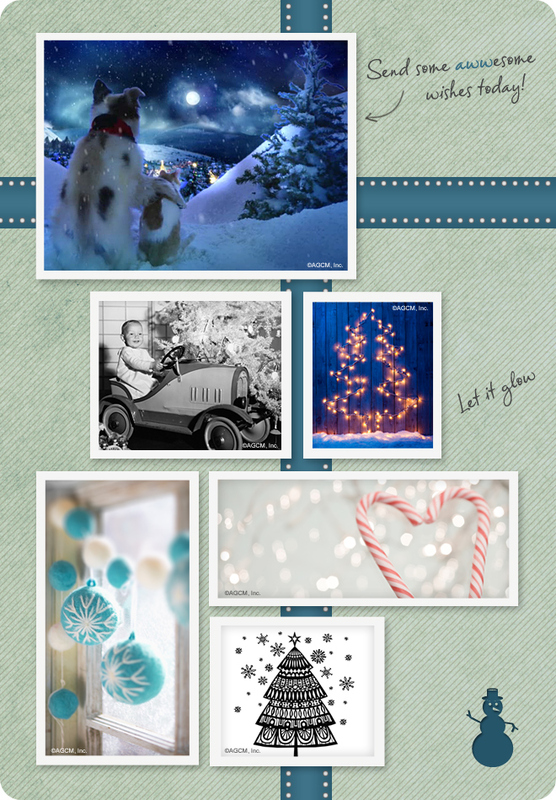 Make the season sparkle with traditional, funny, cute or religious animated ecards. You can even personalize a special Christmas song to send to your friends and family. This inexpensive and easy-to-use Santa photo editing tool lets you insert a realistic image of Santa visiting your home on Christmas Eve. When the kids wake up on Christmas morning, you can proudly display the proof that you caught Santa in the act. Cue the wide eyes and excited questions! These are our favorite examples of the many amazing Christmas resources online, so it’s worth a search! It’s heartwarming to know that people all over the world are committed to keeping Christmas magical in new and innovative ways. Children today might be a lot more sophisticated than we were, but technology is helping parents stay one step ahead to provide some of the most treasured Christmas memories of a lifetime. What’s your favorite way to make the season magical? The spirit of Christmas can be found all around you — in the laughter of children as they play, in the flicker of a golden candleglow, in the magic of the first December snow, in the voices of carolers singing and in the stars that shine above. As you celebrate this special holiday with family and friends, may you be inspired by the miracle of Christmas in your home, in your heart and in your world. Wishing you all love, hope and peace from your friends at American Greetings. 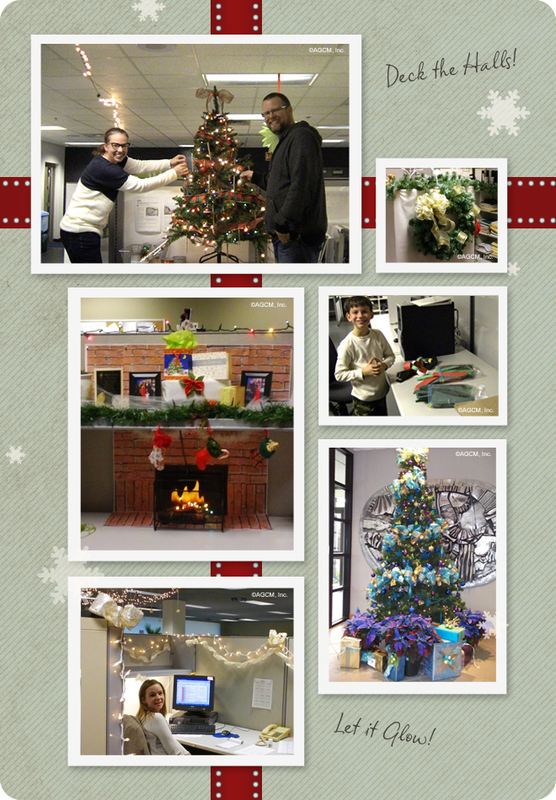 Here at American Greetings, we all enjoyed getting into the holiday spirit by decking the halls and the walls at world headquarters in Brooklyn, Ohio. We even included some of Santa’s little helpers to join in the fun. As you walk through many of the departments, you will find a festive display of lights, beautiful trees and a special place on the wall where folks can pin up their Christmas wish list. Plus, in the interactive department, you can hear Christmas music playing on an old-fashioned record player keeping the mood merry and bright. From all of us at American Greetings, we wish you and your families a warm holiday filled with happiness, laughter and love! As the holiday season shifts into high gear and you still find yourself in the midst of shopping, decorating, baking and entertaining, it may be a great time to slow the pace and get back to the basics. Reflect on what means the most to you – your family, friends and what you believe in. It’s all about holding the true meaning of the holidays in your hearts with the traditions you enjoy, the memories you cherish and the connections you share. So celebrate what you have and what you’re grateful for, from simple pleasures like cozying up to a crackling fire to more meaningful gifts, like being with loved ones and feeling at home for the holidays!